Apologies for the lateness of this report. On behalf of Kathy and myself I would like to say thank you to Eva Hampe who, on behalf of the Dutch Obedience Society, invited us to judge at this October Show in Germany. Hospitality was first class, we were collected from the airport by Volke, who drove us to his home which was also the venue for the Show. After a late breakfast we sat in the sunshine and watched Eva give lessons and training tips to some of the Show competitors, and this was very relaxing for us after our early flight from Birmingham. After helping set up the rings and then going out for a lovely meal we had an early night in preparation for the Show. We were very fortunate with the weather during the Show and everyone seemed very relaxed. Volke was in charge of refreshments and Eva organized everything else for the Show and we would like to thank both of them for making us so welcome in their home. We both had a really enjoyable weekend and it was lovely to see so many keen dogs and handlers who are new to UK Obedience. Good luck with future Shows in Germany. 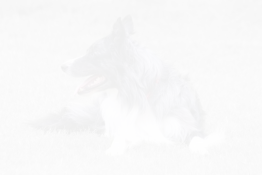 1st Andreas Steinmetz and his Border Collie DUMF AND GALWY INVERLEVEN. My notes say “well handled” with commands at exactly the right time” and this was very true. I was delighted to award Andreas and Jamie their first place, very well deserved and Andreas was “over the moon” to have at last won a pre-beginners. Very many congratulations. 3rd Beate Faust and her Malinois HERA VOM ROTEN MILAN. 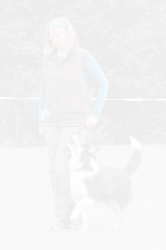 We were lucky enough to watch Beate training the day before the show and she definitely listened to her trainer. Beautifully handled – well done. 4th Andreas Steinmetz and his Australian Shepherd LUNA VON DER GREEN GROUND RANCH. Well done on getting two dogs in the line-up. Although Luna is not such a keen worker as Jamie you have nevertheless done well. 2nd Sabine Doant with Dumf and Galwy Happy New Year. Wonderful heelwork on the lead but lost concentration and confidence off the lead, dropping back. Could easily win this class with more help from Mom. 3rd Monika Schmidt with Ally von der Muckenheide. Another attentive worker, trained to the hand touch but was so eager to please was jumping to reach the hand which was costly. 5th Rike Sievers with Dante Noris. Wide work on the heel free lost most of your marks but your heel on the lead was accurate and a delight to watch. 6th Andreas Steinmetz with Dumf and Galwy Inverleven. Lovely to see a dog enjoying its work and playing with the lead. Unfortunately playing needs to be at the end of the heelwork not in the middle. I was very surprised with the standard of work in this class and pleased that some of the training rounds were very positive, the handlers taking every opportunity to encourage and keep the attention of their dogs. Well done everyone. 1st Charly Doant and his Border Collie MORGAINE. A very well handled round and, apart from an occasional loss of attention, there was very little to mark. Charly was overjoyed with their win and I wish them the best of luck for the future. 2nd Sabine Doant and her Border Collie DUMF AND GALWY HAPPY NEW YEAR. Sabine was not far behind her husband and I’m sure their turn will come. A very well motivated partnership, especially as Sabine thought that she would never be able to compete with her girl following injury as a puppy. Congratulations. 3rd Rike Sievers and her Goldie DANTE. Beautiful round from this partnership but unfortunately stays let them down, preventing them winning today. Their ring work was very stylish and enabled them to easily win the run-off for this place from the 4th and 5th placed dogs. 4th Brigitte Herbert and her Border Collie LUCKY BORDERS ONE TRUE LOVE. 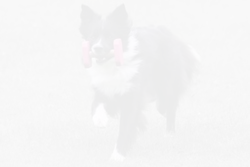 More encouragement needed during heelwork to help build the dog’s attention but set exercises were excellent. 5th Carolin Ellerhausen and her Border Collie FELLOWCREEK GINGERS RED FINAL. A little more confidence from Carolin and this very motivated dog will do well. Good luck. 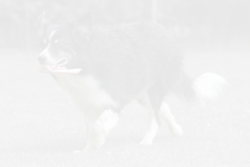 6th Andreas Steinmetz and his Border Collie DUMF AND GALWY INVERLEVEN. My comment to Andreas was that they needed more motivation. He obviously listened as they worked a much better Pre-Beginner round and WON. 2nd Charly Doant with Morgaine. 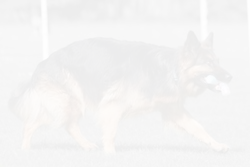 Needs more work to keep your dog in a close heelwork position but still a very credible round. 3rd Sabine Doant with Dumf and Galwy Happy New Year. Well done on your achievements today 2nd in Beginners and 3rd in A. 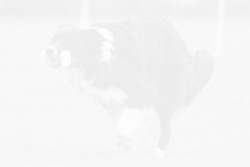 Obviously new to A as you gave extra commands with your hands in the retrieve. 1st Eva Hampe and her Border Collie DUMF AND GALWY JUBILEE. Cochaine worked very well today and I understand that this was her second “B”, obviously a good day as they also won “A”. Eva did very well to keep her under control especially as she was running the Show, stewarding and hosting the judges. A very pleasing round to watch. 2nd Amanda Laschak and her Border Collie CHAMBLESS ROSE A’DARK SWEET SNICKERS. Lots to work on but a very well motivated dog with an enthusiastic handler. Good luck for the future. 1st Eva Hampe with Dumf and Galwy Ewephoria. No major faults. Good sendaway and retrieve although Mom moved her head on the retrieve and heelwork was very commendable. Lovely to see such an enthusiastic but controlled dog. 2nd Yvonne van deer Meet with AbFab Irausquinn. 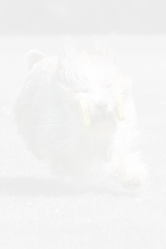 Your dog really enjoys himself but lets everyone know by being very vocal. Missed position in ASSD and DC also resulted in your position. Well done. Lastly I would like to thank all my stewards, Ivonne van der Meer in Beginners, Eva Hampe in Class A and Shelagh Page in Class C you were all brilliant. To all the helpers on the scoreboards a big thank you, you made my job easier. Organisation and hospitality was first class. Best of luck to everyone in future shows.